As a Value-Added Distributor we don't just sell products - we sell solutions. We understand that in order to provide the best service to our customers we need to partner with individuals and businesses that are the best in their area of expertise. Whether you are a machine tool rebuilder, retrofitter, distributor, or broker; we want you to be part of our partner network. Below we have outlined a couple of opportunities that we have available, but please understand that we don't expect our programs to be one size fits all. Our goal is to provide the best solutions possible to not only our customers, but the customers of our partners as well. Let us know what works for your business. It is a partnership after all. Our current product offering includes: Siemens CNC Kits, Newall Digital Readouts, Newall Linear Feedback Encoders, Bardac AC/DC Drives, and Helukabel Control & VFD Cable. We have more products and services coming in the near feature that our partners will also have access to, such as: Neugart Gear Boxes, Spindle Repair Services, Ball Screw Repair Services, and Way Repair Services. We are always looking for new products and services that would be beneficial to our partners. Please let us know if you have any suggestions. 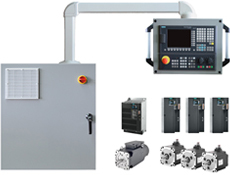 We want to be your one stop shop for machine tool repair and integration products. We can provide custom CNC kits for a range of machine tool applications, including: mills, lathes, routers, grinders, boring mills, VTLs, and more. Kits can be purchased in 3 configurations: hardware only, pre-built pendant arm configuration, and pre-built console configuration. Custom options are available to our partners. No DRO System can match the durability and reliability of a Newall Digital Readout. Newall Scales are IP67 rated, fully submersible, resistant to harsh environmental conditions, require no cleaning or maintenance, and have a high tolerance to shock and vibration. Not to mention they are the easiest to install on the market. 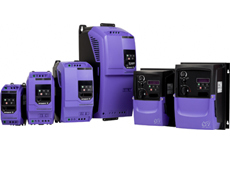 Bardac AC Drives offer high performance closed loop vector, open loop vector, constant torque, and variable torque. They are available in NEMA0, NEMA4X, NEMA1 or NEMA 12 construction. These drives are highly configurable and easy to setup. The DC drive line of products are versatile, high-performance products engineered specifically for value-conscious engineers. HELUKABEL offers an extensive selection of cable and wire specifically for machine tool applications. Their cable is known for it's durability and outstanding flexibility. 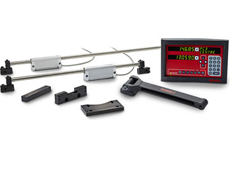 We offer HELUKABEL VFD and Servo Motor Cable, High-Flex Control Cable, Shielded Signal Cable, and Cable Accessories. 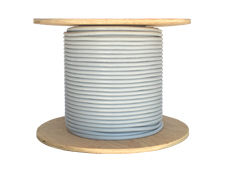 All cable sold on MachineToolProducts.com is available in lengths from 25ft to 1000ft - so you can order exactly what you need for the job.